Some PR agencies blow their own trumpets. We let our clients do the talking – find out what they have to say about us. We found Ann Grain from jag press & publicity excellent to work with. She is highly experienced – something that comes across in every conversation with her – direct, efficient and passionate about her work. She really helped us build a broader profile than we otherwise would have. I wouldn’t hesitate in recommending her and we will, indeed, hire her ourselves again in future. I really enjoyed working with Ann. She was clearly able to turn her hand to a wide range of communication activities ranging from the development of a communication strategy for a whole multi-faceted programme through to the day to day delivery of tactical messaging to inform a diverse set of stakeholders. Ann managed a series of events for us and the development and delivery of some ‘short’ films which very cleverly provided real insight into some extremely complex information into easy access material. Ann is a true professional. She works to very high standards and is not content until a job is done as well as possible. I highly recommend Ann to you for a wide range of communication tasks – you will certainly get good value for money”. 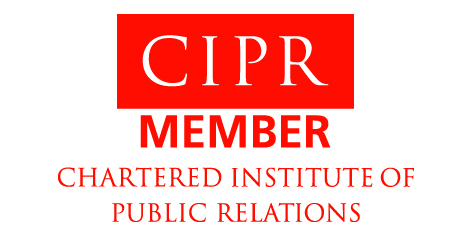 Working with Ann at jag press & publicity has had an extremely positive impact on my style of communication and on how Sussex Partnership as an organisation communicates externally, particularly with the media. I have become much more confident, and conversant, with social media, particularly Twitter, and I now write a blog read by at least a third of our staff regularly on our intranet. The blog is enabling an open debate on all sorts of issues, healthy for any organisation. We have also changed how we use the role of the chief executive in the printed press and become much more proactive. I am grateful to Ann for her advice, support and input over the months – she has been a great catalyst! The new website jag press & publicity has designed and built for the RSPCA London South East Branch is everything we wanted and more. We needed a modern, responsive* website that was easy to navigate, intuitive and colourful. We also wanted to be able to update it ourselves – really important when you are helping animals and time is of the essence. I saw the sites jag press & publicity had built in the past and knew Ann Grain would build us something just as good – thanks to her and the team back at jag we have a great site. With no prior knowledge of the legal sector Ann worked with barristers to write and place a story in all our key target publications, including The Times Legal section – and we received further editorial coverage as a result of her initial contact. Chambers was delighted and impressed.